As environmental awareness continues to grow, the use of electric and hybrid vehicles (E&HVs) is steadily increasing. People working in the motor vehicle repair and recovery industry are now more likely than ever before to come across these vehicles, and need to be aware of the additional hazards they may be exposed to as a result. To conduct their business safely, workers in these industries will need to develop a wider range of skills and knowledge, plus have access to specialist tools and equipment. Battery Electric Vehicles use a large capacity battery and one or more electric motors to drive the vehicle. The battery is charged from the electricity supply network when the vehicle is not in use. Some energy may be recovered during braking. Hybrid Electric Vehicles typically have two sources of energy: an internal combustion engine, diesel or petrol, and a battery. The vehicle automatically selects the most fuel efficient source of power to meet the driver’s commands and may use both simultaneously. Both the internal combustion engine and vehicle braking and recovery systems are used to charge the battery. 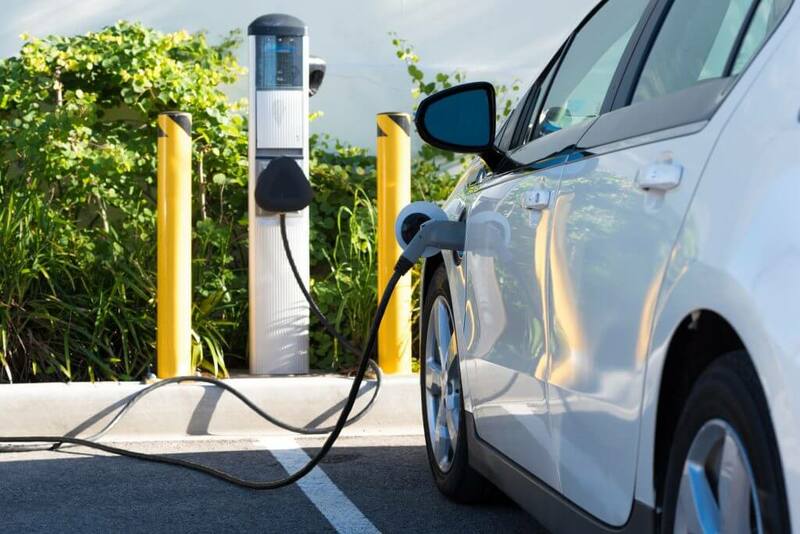 Plug-In Hybrid Electric Vehicles are similar to hybrid electric vehicles but with the added attribute that they can also be charged directly from the electricity supply network. Garages and recovery operations will be familiar with vehicles having 12 or 24 volt electrical circuits but E&HVs use significantly higher currents. They operate at up to 650 volts DC (direct current). DC voltages above 150 volts are hazardous in dry conditions, and contact with 600 volts DC is likely to be fatal. Therefore, there’s is a real risk of electrocution if the hazard is not appreciated and controlled. There is also a risk that the batteries could explode and/or release harmful and toxic chemicals if not maintained and handled in accordance with the manufacturer’s instructions. There are substantial differences in the designs of E&HVs from different manufacturers. Having information specific to the manufacturer and the vehicle being worked on is important in identifying what actions are necessary to work safely. High voltage components and cables capable of delivering a fatal electric shock. Stored electrical energy with the potential to cause explosion or fire. Components that can hold a dangerous voltage even when vehicles are “off”. Unexpected movement of electric motors or the vehicle itself, due to magnetic forces within the vehicle and its systems. Heavy, bulky and awkward to handle components. High-voltage batteries are several times heavier than conventional batteries, so lifting aids and devices are required to prevent musculoskeletal disorders. Explosive gases and harmful liquids which can be released if batteries are damaged, overcharged or incorrectly modified. Electric vehicles are silent when operated. There’s a risk that people would be unaware of planned or unexpected movements. Hybrid vehicles can start their internal combustion engine automatically when the ignition is on and the vehicle detects that the battery has discharged to a level at which recharging is necessary. High electric currents in batteries and high-voltage systems in electric vehicles can cause magnetic fields which can induce eddy currents in the human body. Risks arising from electromagnetic fields are therefore potentially dangerous for mechanics and others with active implants such as cardiac pacemakers. As you can see, additional skills and training will be necessary for people to work safely with E&HVs. The levels of competency required will vary based on the type of work that they’re expected to do. An awareness of additional risks is likely to be all that is required for people who undertake vehicle sales or valeting. However, those involved in repair and maintenance are likely to need a much greater level of competence to safely work with E&HVs. In addition to the training offered and supplied by the vehicle manufacturers, specific training leading to recognised qualifications is offered by organisations such as the Institute of the Motor Industry. An assessment of the hazards and risks faced by workers will be required at one or more levels. A generic workplace assessment is likely to identify most of the issues covered in the general precautions outlines above. BusinessSafe clients have access to a newly published Guidance Note on this topic, which includes specific advice and guidance on the practical management of the hazards and risks identified in this article. They also have the benefit of advice and guidance from their Business Safety Consultant at their scheduled visits, plus 24/7 access to the fully qualified and competent team operating our 24 Hour Advice Service – just call us on 0844 892 2785.